Please activate your PayAsUGym code at the kiosk when you arrive at Kiss Gyms. Access will only be granted once your PayAsUGym code has been redeemed at the kiosk. Lockers require a padlock. These can be purchased on-site. Kiss Gyms brings a fresh approach to gym membership. By stripping out unnecessary costs (keeping things simple, streamlining their approach and doing away with pushy sales staff) and by focusing on what matters: great equipment in a great space - they aim to reduce costs to you, but deliver a high quality gym experience. As one happy PayAsUGym customer remarks: 'An excellent well designed value-for-money gym with a pleasant atmosphere and a buzzing vibe'. 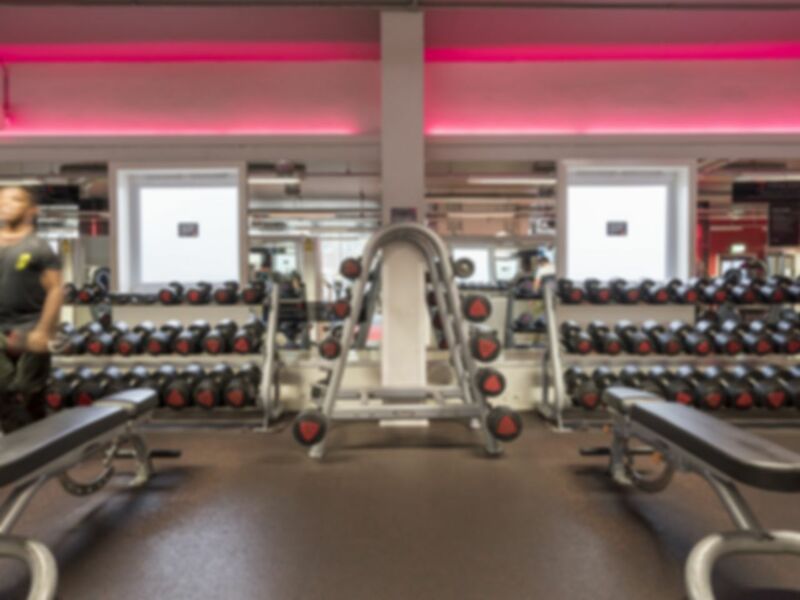 Kiss Gyms Swindon gym comes with high spec equipment, state of the art air handling, designer changing rooms and highly qualified and experienced personal trainers. The theatrical gym setting combined with a higher percentage of floor space than traditional gyms results in a high spec, low price gym. **Please activate your PayAsUGym code at the kiosk when you arrive at Kiss Gyms. Access will only be granted once your PayAsUGym code has been redeemed at the kiosk on the day of your visit. You may then need to wait up to 30 seconds before entering your PIN at the door. The gym is great, wide range of equipment. Stwff were friendly, and it wasnt overcrowded. Didnt have to wait for anything.